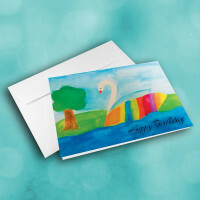 Send some warm birthday wishes with this elegant, watercolor greeting card. 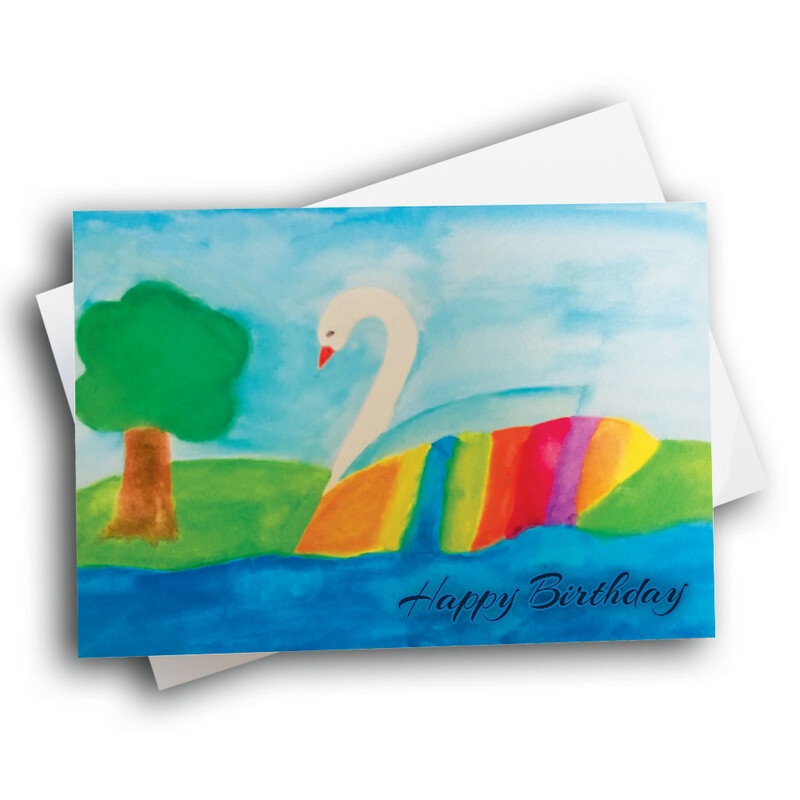 This beautiful card, based on hand-drawn artwork, is a charming way to share some meaningful wishes. 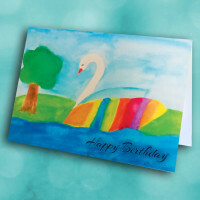 The front features a simple nature scene, with greenery and water. 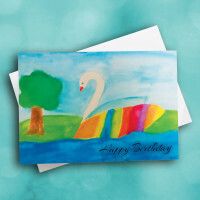 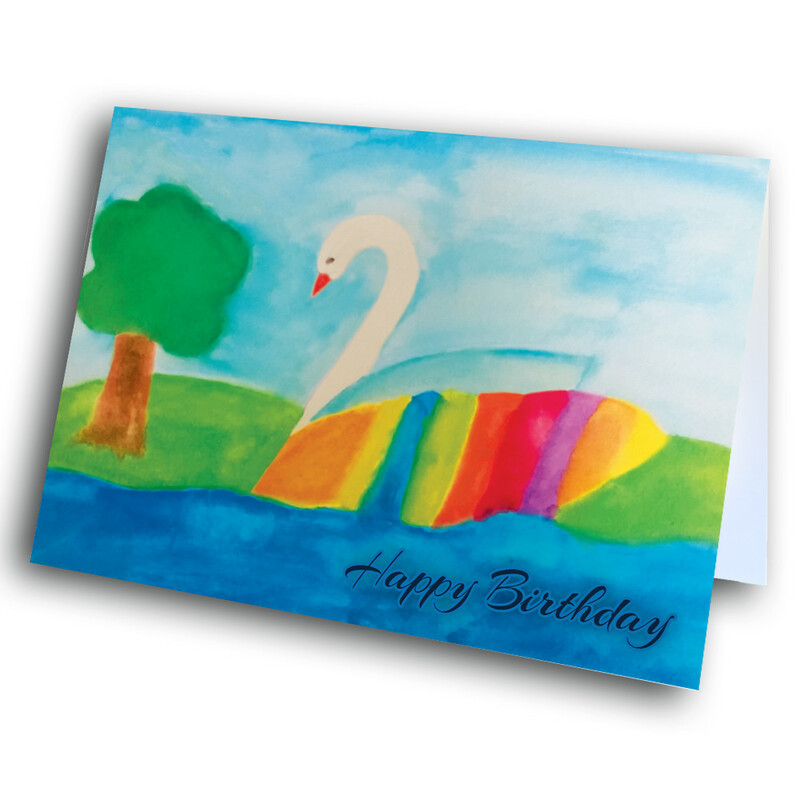 In the center sits an elegant, rainbow swan, swimming above the birthday greeting. 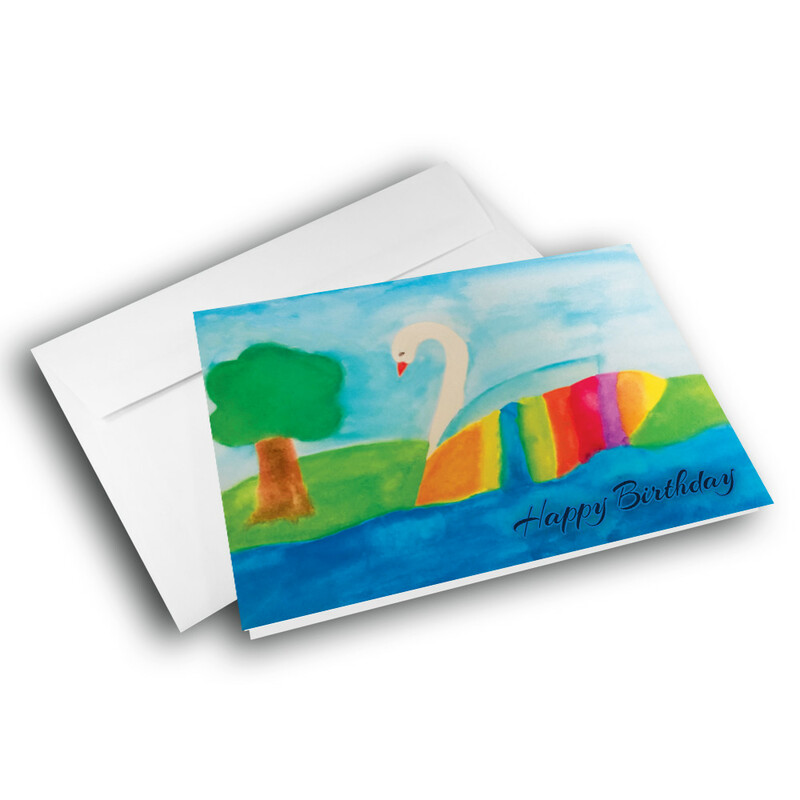 Add personalization inside to make this a custom birthday card.